A few months ago I was sent the Supernatural Beauty Glorious Cleansing Balm to review. As we know from previous posts I'm a huge fan of the brand and could not wait to get my hands on this product to use at home. So lets get down to the good stuff shall we? I won't lie, I had high expectations for this product as founder Jenny has raved about it so much and you know what... I wasn't disappointed! The only problem I've had with this product is due to the thick and slightly sticky consistency, you have to use some kind of flannel or muslin cloth to remove which is totally fine until all your flannels are in the wash but I guess I need to get on top of my washing! That's only happened once and it wasn't a big deal but it's something to be aware of. A little bit goes a long way with the Glorious Cleansing Balm, you warm a tiny bit between your fingertips and it literally takes off every trace of makeup on your face. I struggle from dehydration so I like to sleep with my face slathered in coconut oil, since using the GCB I haven't needed to do that as my skin is left so supple and moisturised after cleansing so I've started to just add a drop of the Redemption Oil to my problem areas and off I go to bed. If you're looking for a new all natural skincare brand with a wholesome story, then you should definitely check out Supernatural Beauty. The products are simple, clean and effective and they have done my skin wonders! 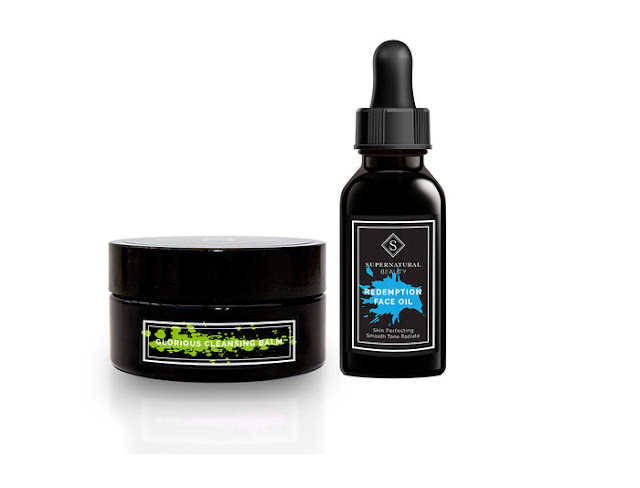 Have you tried any Supernatural Beauty products yet? There's an offer on the Glorious Cleansing Balm and Redemption Oil right now! Check it out here.